Our mobile solutions are designed to create unique user experiences that reflect the values, priorities and vision of client businesses. We help our clients achieve their business goals and work towards satisfying their long-term needs, expectations and user requirements which extend beyond any specific technology or implementation strategy. 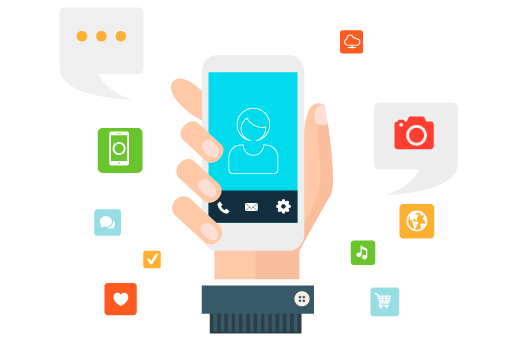 Mobile application development is one of our core areas of expertise, we empower global brands to connect with their audiences across a plethora of mobile devices. We conceptualize, develop and enhance native mobile applications for global enterprises looking to integrate mobility into their marketing strategy. We provide a complete range of hybrid app development solutions by coalescing the power of HTML5 with the most advanced mobile device frameworks such as Ionic, Framework7, Sencha, PhoneGap etc. We deliver hybrid apps for all leading mobile platforms including iOS, Android, Windows Mobile. In today’s world, Android App developers need to focus on the flexibility and adaptability of apps on the latest devices. Our app development team holds the proficiency to tackle compatibility issues and ensure that the apps developed by us run smoothly on all devices. 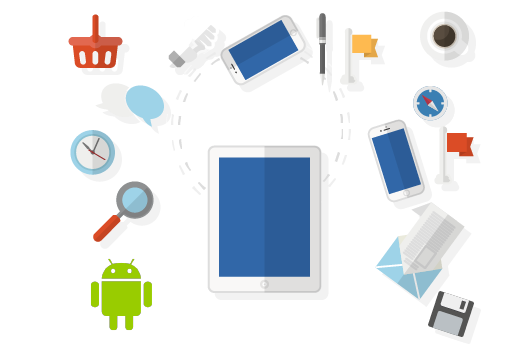 We offer comprehensive and end-to-end android app development services. The mobile app market is getting newer apps every day. To keep up with the competition, we deliver services right from requirement gathering to deployment. Our exclusive iOS mobile apps development services help you reach out to the global audience. We develop an extensive range of business and productivity apps that enhance the return on investment for our clients. iPads are as much popular as the Apple iPhones. iPads application development can be a great way to appeal to your target audience. iPads are mostly used by the end consumer and businessmen, so you can’t miss out on an iPad application for your business. 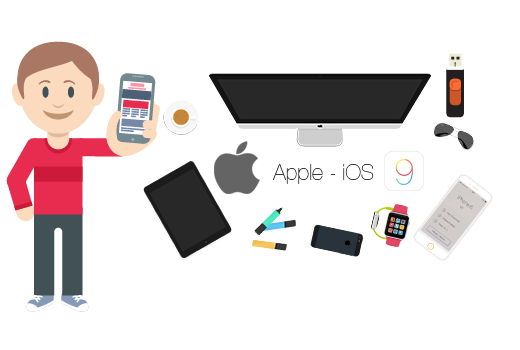 Gemini Solutions offers outstanding iPad application development services to put your business on the top. The number of consumers shopping on their phones and tablets is increasing day by day. To make it easier for them to shop from your online store, you need a mobile optimized version of your e-commerce website. Gemini Solutions provides you this opportunity with enhanced Mobile commerce solutions. 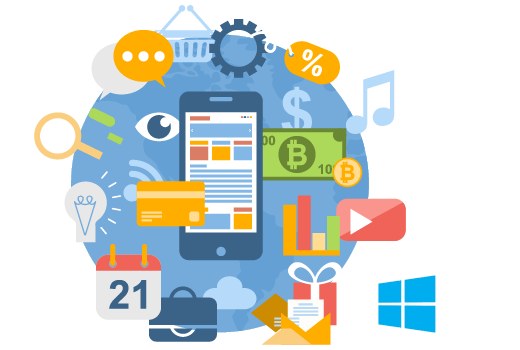 We stand as one of the competent players in the Windows app development market and offer an extensive range of services right from mobile app design and development to deployment. Our mobile app developers adhere to Windows Mobile Application Development guidelines and standards to develop scalable and versatile mobile applications. Blackberry platform is slightly different from other smartphones, it is more business-centric. But in recent times, it has gained popularity among non-business people too. Whether you are looking for a business-centric app or an entertainment app, Gemini Solutions has solutions for all your problems. Red Hat Mobile Application Platform supports an agile approach to developing, integrating and deploying enterprise mobile applications—whether native, hybrid, or on the web. The platform supports collaborative development across multiple teams and projects with a wide variety of leading tool kits and frameworks. We at Gemini Solutions specialize in developing applications in RHMAP.